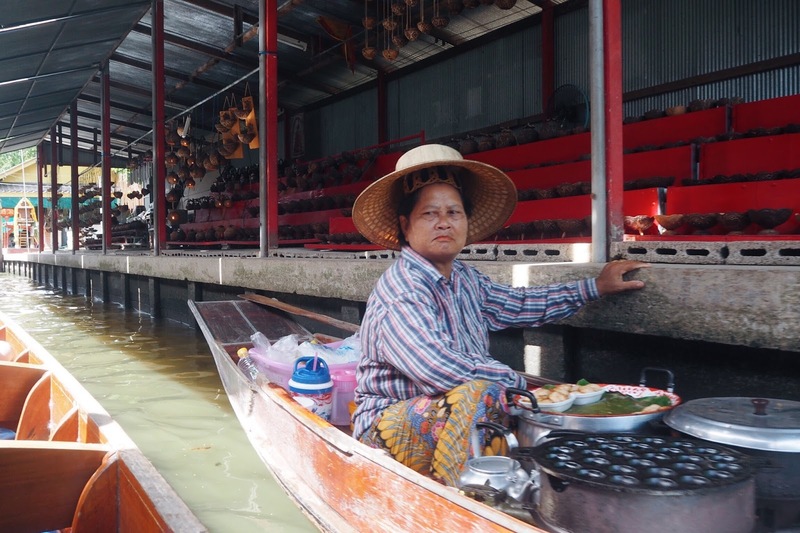 If you've been to Bangkok then you'll know that there are floating markets in the city. They're a must see on any visit. However, we decided to skip the near by markets and head further a field. 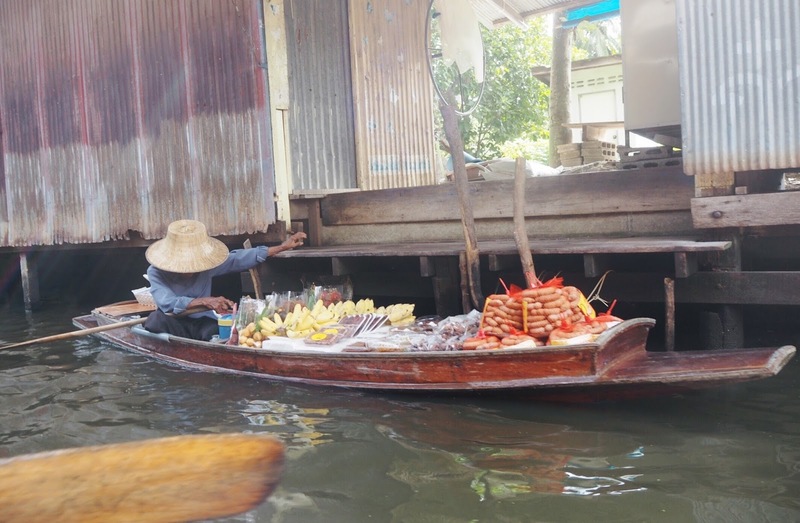 Technically the Damnoen Saduak floating market is still classed as Bangkok but it's over an hour outside so definitely something to plan as a day trip. 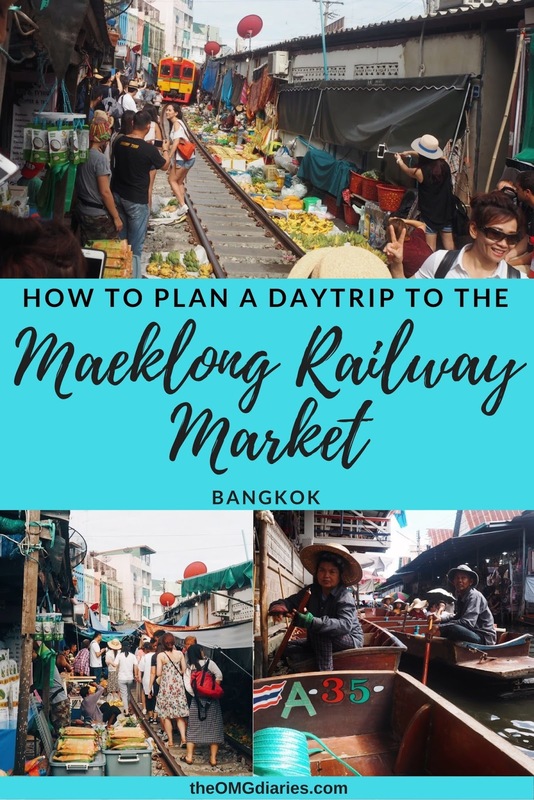 The main market we wanted to see was the Maeklong Railway Market. I'd first seen a picture of this on twitter and just assumed it was photo shopped. So many pictures now a days are, I mean a pink volcano? Birds magically flying across the sky at the exact moment you take your picture? 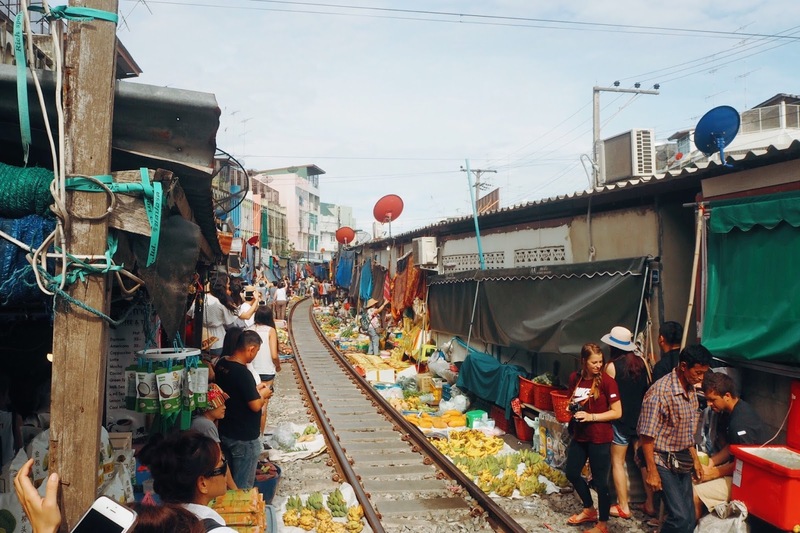 A train driving through a market seemed to good to be true. But then my friend sent me a picture from her visit and I realised it was actually real and somewhere I definitely wanted to visit. Initially I wanted to do a DIY trip to the markets. To save money and give us a bit more freedom. However, we ended up booking a tour instead. This mostly comes down to lack of planning. While I had done some research before the trip it was still quite difficult to get all the information we needed. We didn't set aside enough research time while we were travelling and the organised trip from the hostel was relatively cheap. I think in the end we paid £12 each for a half day tour which is a fair price. If you want to do it yourself then this post was the most useful one I found whilst doing my research. We were up early (around 6am) ready for to be picked up at 7. The annoying thing was that our pick up was between 7am and 8am. Quite a large gap when sleep is involved. Of course, we were picked up nearer to 8 but at least we were ready. The day trip, although organised through the hostel, was an outside company so we were the only people from our hostel in the mini van. We made a few more stops and some people had to get out and change mini vans. We were then given a little smiley face sticker and began our journey. After many 8 hour bus rides this one seemed very quick. It was just over an hour which was filled with listening to music and of course having a quick snack. When we arrived we were guided to the train market. Through tiny alleyways until we got to one which seemed just as inconspicuous as the others. But as we walked through we were greeted by an opening that revealed the train tracks. We quite literally walked straight onto the train tracks. 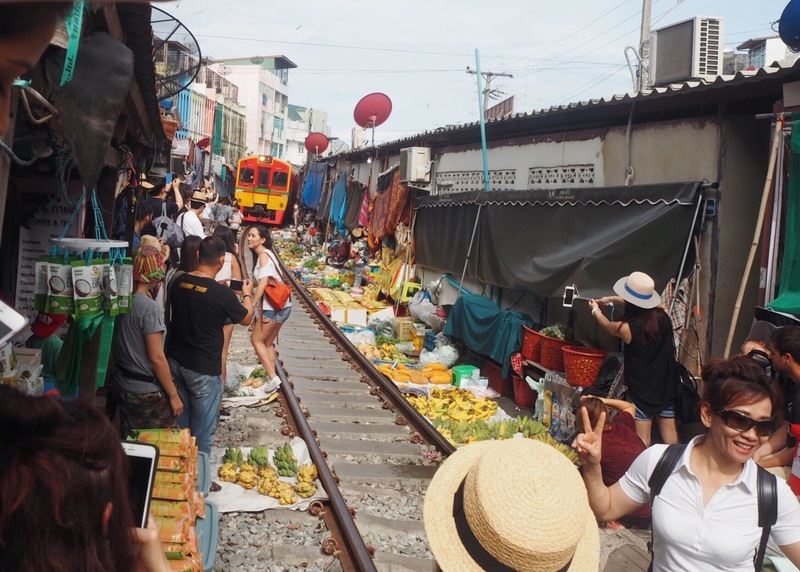 The train was yet to come through the market so we had around fifteen minutes to explore. Our driver and guide was an old moody man who kept shouting at us and telling us what time we had to be back at the mini van. I think he was just trying to make sure none of us got run over by the train and we joked that he was like a moody granddad. When they say stay well back from the track they mean it! The train is so tight. It's amazing seeing everyone pack up their stalls so quickly. We were right at the end of the market so it took a while for the train to appear. However, this also allowed us to watch the train for a while. We'd managed to climb onto a table to get a better view. It's hectic but worth it. I do wish we'd had more time to explore the market though after the train had passed and that's one thing a DIY would allow. However, the train only passes at certain times so being on a tour meant that we wouldn't miss it due to missed trains etc. 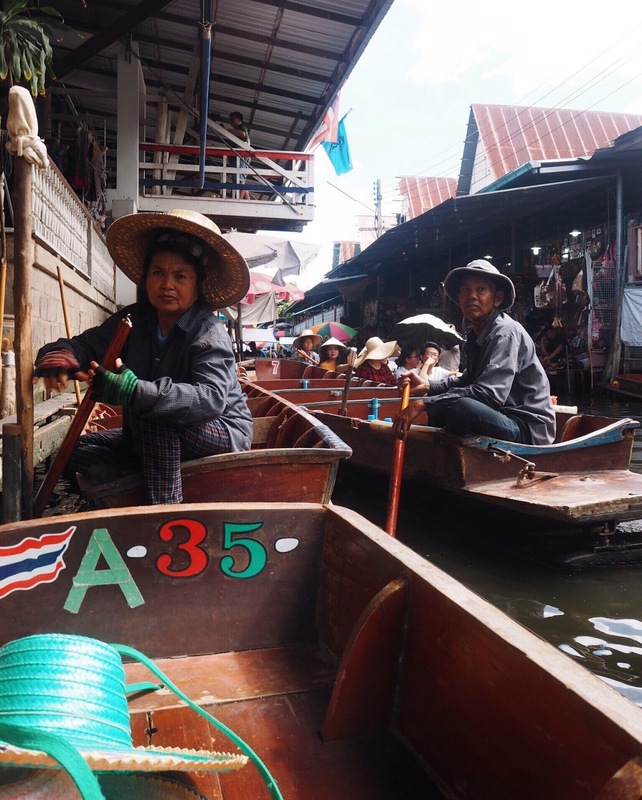 When we arrived at the floating market we were introduced to our guide who didn't really do anything other than guide us to the ticket counter. We paid for the (optional) boat ride around the market on one of the long boats. Our tour also included a ride around the outer areas in an electric boat. Although, I didn't actually realise at the time that we were getting to boat trips. It was definitely worth paying for the other boat ride though as this allowed us to see the heart of the market. In all honesty, the market was a standard tourist trap. The stalls pretty much all sold the same variation of products. 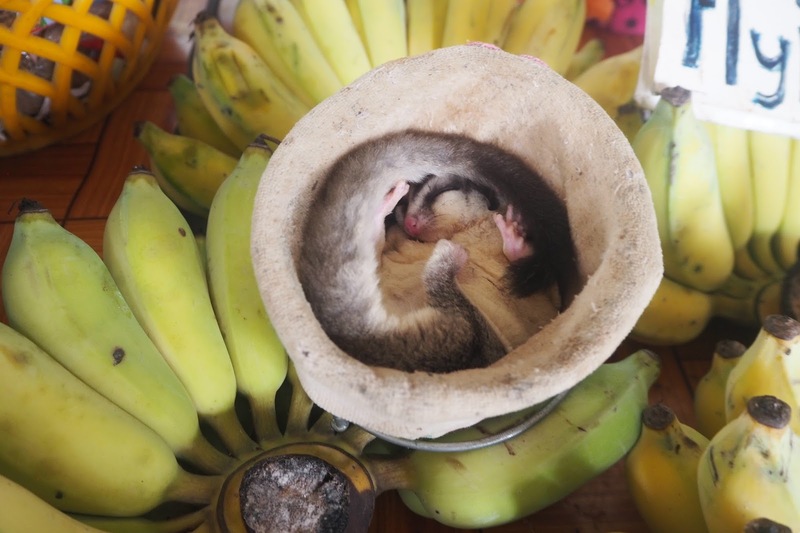 The prices were VERY high compared to other markets, including stalls on Koh San Road. After both our boat rides we had around 20 minutes of free time to explore. We spent some of this looking for a toilet. There was one in a building across the car park. It was pretty decent but remember to bring some change because as usual you had to pay. We then explored the market stalls that weren't on the water. I actually preferred these stalls. There was one with handmade jewellery which was really nice and non tacky AND a reasonable price. I got myself a necklace. My friend and I also got a top each in a mad dash. We had five minutes before we needed to get back to the mini van and managed to try on, bargain, purchase the top and get back to the meeting point in time. We then headed back to Bangkok. 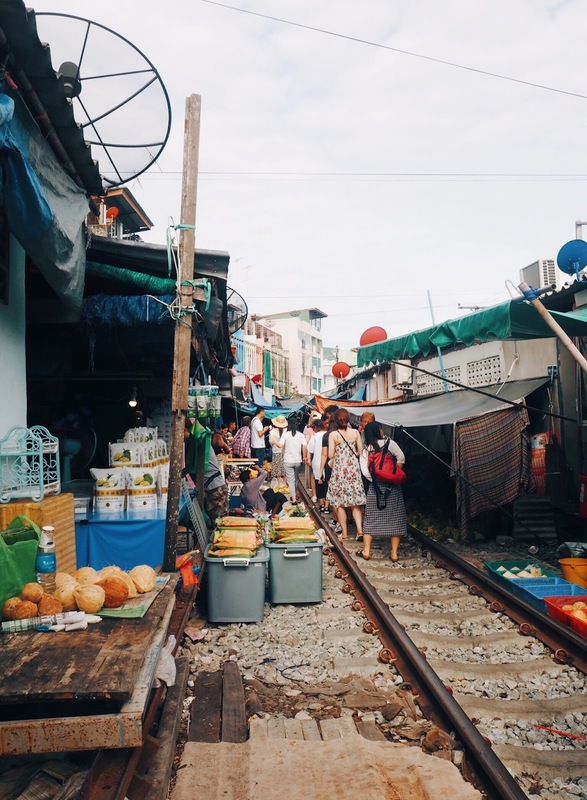 We were dropped by Koh San road which was fine because our hostel was only a 5 minute walk from there. Really, it's only a half day trip as we arrived back in Bangkok before 2pm. However, this was perfect for us as we were getting the night bus down to Koh Phangan and this gave us time to eat and relax before our long journey. 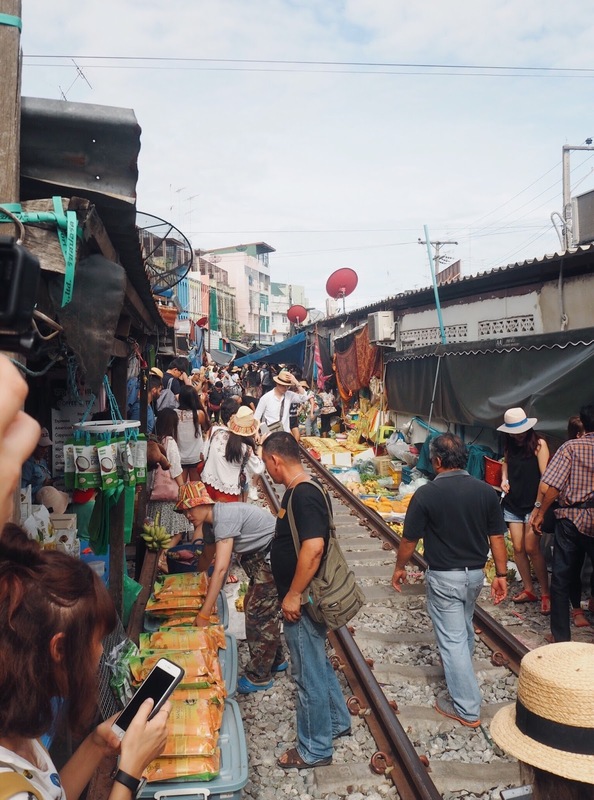 Have you visited either of these markets? What did you think of them?